With the chill in the air the past few days, it seems that fall is approaching faster than I would like, meaning our longest season is not far behind. I will admit that I love summer, I love the warm air, the flowers in bloom, the long days, the green and vibrant colors everywhere, summer is so...lively. Every season is like this, if you stop to appreciate what is around you. Fall is a lovely season, lots of changing colors, beautiful textures, and the best of all...sweatshirts and sweaters by the fire. Winter has its perks too actually. Have you listened to the snow fall in your yard? It can be deafeningly silent outside in the middle of winter, which summer is definitely not. This winter, in the evening, grab a chair and blankets, and sit for a few minuets if you would like and listen to the snow falling around you while watching the twinkling Christmas lights, or during the day while looking at your winter landscape and seeing what could be improved, what winter plants look good or what you may want more of. Speaking of Christmas lights, my daughter loves to go for a drive up and down any and all roads looking for Christmas lights on houses. Some houses look like they could use some tidying up, while others look...amazing. After the return of service members from WWII, there was a significant demand for housing, the VA and FHA worked closely to provide loans so these families could move into new homes. As they did, they felt a sense of hope for a better future. During the Christmas Tree Lighting Ceremony of 1957, President Eisenhower commented on the power of that ceremony to bring families together: "The custom we now observe brings us together for a few minutes this one night...you and I, here, are not alone in a world indifferent and cold. We are part of a numerous company-united in the brotherhood of Christmas". This simple, yet powerful statement, many Americans manifested by stringing lights on their roofs and walls during Christmas. As we continue the tradition year after year, here are some tips to keep your holiday decorations looking classy. LED Lights - LED lights are the most energy efficient lights you can use to decorate your home, in fact they use 80-90% less energy than incandescent lights. Keep It Simple! 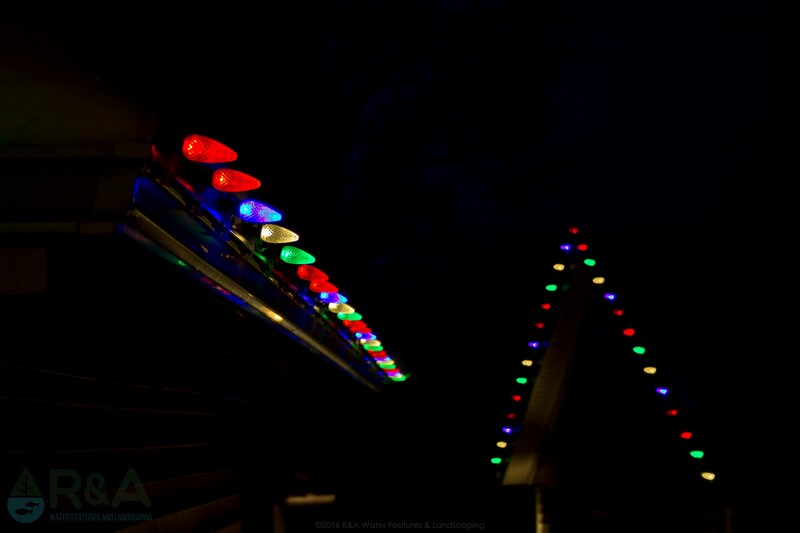 - You don't need to over do it with extravagant decorations, simply lighting up your roof line can be be most effective. Highlighting Features - Most homes have at least one highlightable (new word) feature, like columns, a stone wall, or something that makes the home unique. You'll want to make sure to incorporate or highlight this feature in your holiday decorations. 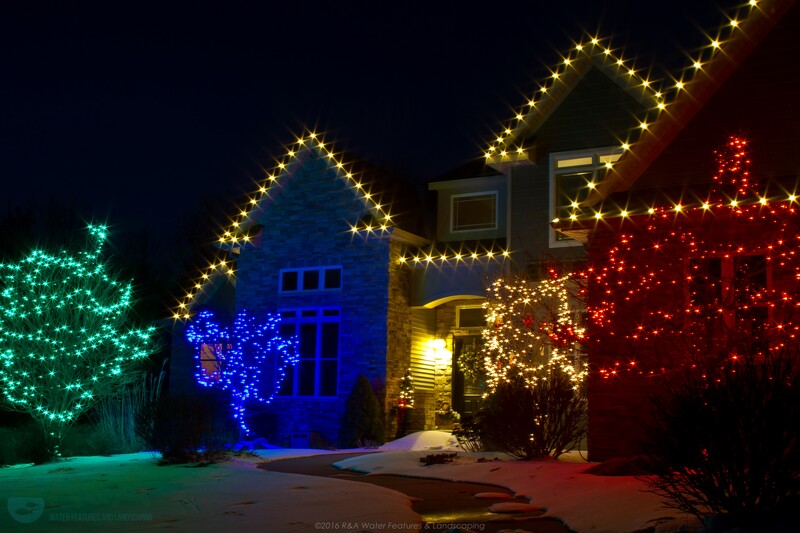 Lighting Color - Warm white LED Christmas lighting works very well with every home because it is classic, but colored LED lights can look just as impressive (if not more). You don't have to stick to all warm white or all color, you can have warm white roof lines and include a few trees or shrubs with color, it's really a personal choice here. 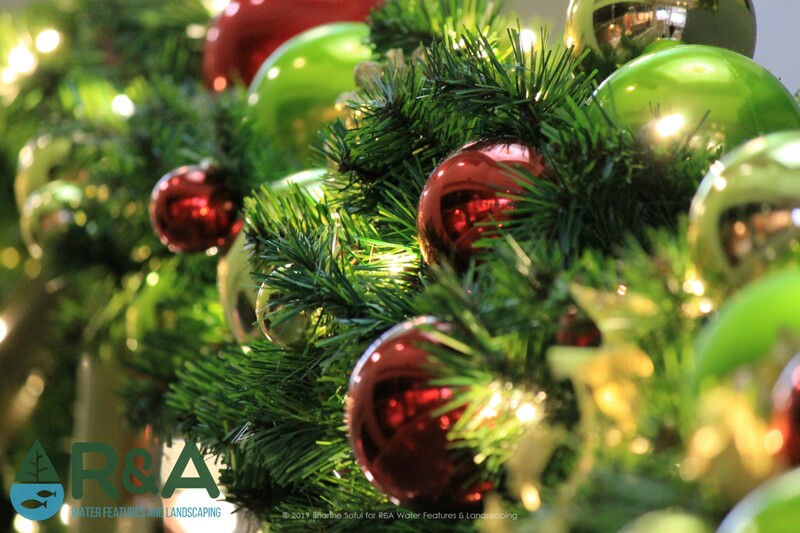 Our Holiday Decorating services are all inclusive and tailor suited to your needs. 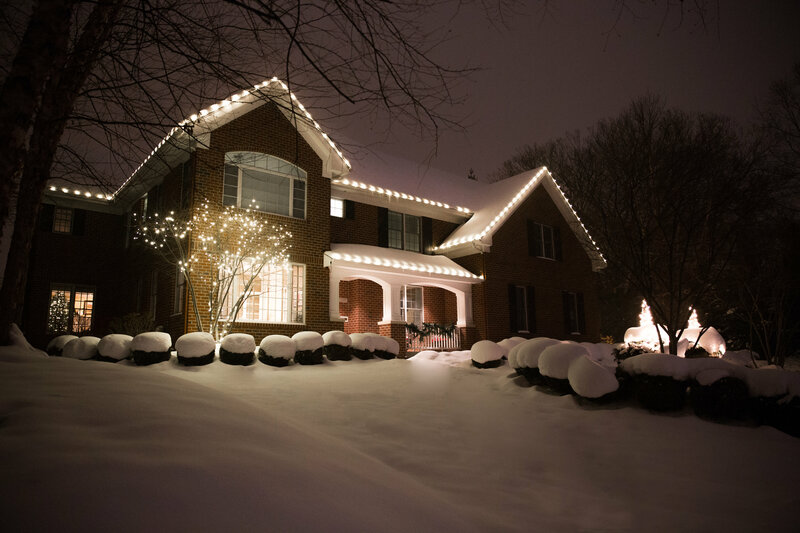 We put the lights up, service them if needed, take them down at the end of the season, and safely store your holiday decorations, while providing a lifetime guarantee on all of our decorating materials. Be sure to follow us on Pinterest and Facebook for new ideas and inspiration. You can also check out our Houzz page, featuring recent projects and client reviews. Contact us today to get started on your next outdoor living project!